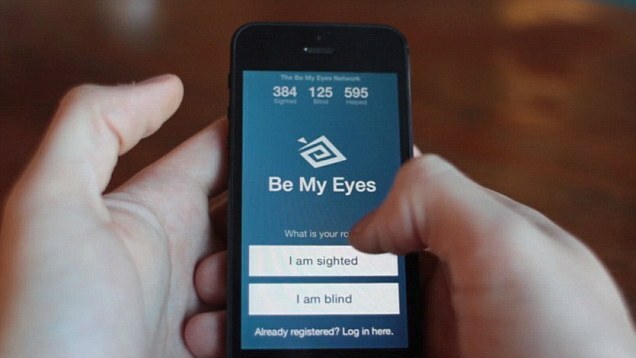 Be My Eyes is an app that gives individuals with low vision or blindness more opportunities to be independent. This app connects people with low vision or blindness to people who are sighted. Sited volunteers can download the app on their iPhone or iPad and create an account as a site helper. Users with low vision or blindness also create an account but do so as a blind user. When a person with low vision or blindness needs a set of eyes, they can open up the app and send a request for assistance. Once a person accepts the request, the two can now communicate with one another. The camera on the phone of the person with low vision or blindness will be activated so the helper can see what the person’s camera is capturing. This app launched last fall and so far there are 198,886 sited helpers, 17,589 users, and 65,930 instances where people were helped through the app. This app is a free app and is currently only available through the Apple store for Apple devices. There will be an app for Android supporting devices coming out soon. Check out the website for Be My Eyes for more information and video that gives some example uses. 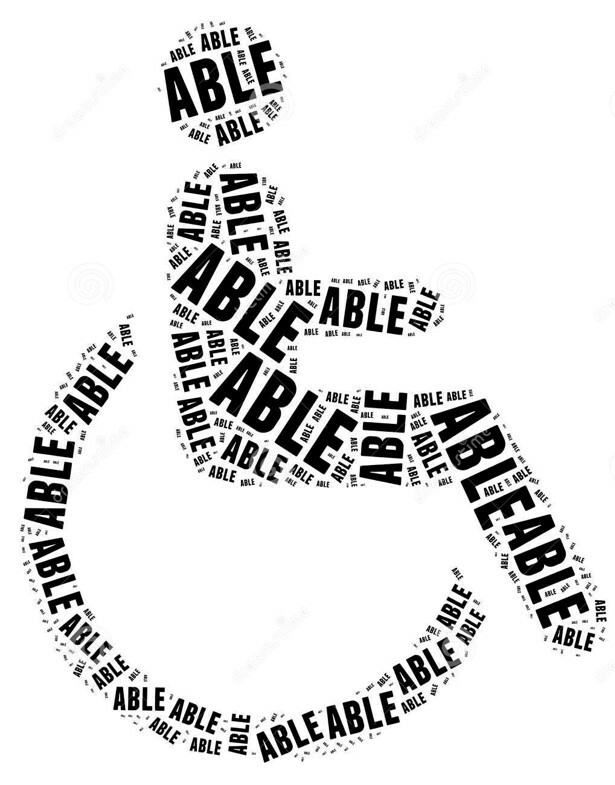 The Achieving a Better Life Experience (ABLE) Act was enacted at the federal level at the end of last year. Since then, 45 states are pursuing ABLE accounts this year to allow families to set aside funds in tax preferred accounts for disability related expenses. Over 29 states have already filed ABLE bills this legislative session. On March 24, the ABLE Act was passed in North Dakota. As of yet, the legislation is rather vague. It is unknown if it will be following the federal guidelines completely or if there will be guidelines specific to North Dakota. As of right now, it is thought that this program will follow the federal guidelines. This program will be administered by the Bank of North Dakota. They will make sure that it is in compliance with IRS standards. The Bank of North Dakota may impose an annual administrative fee to recover expenses. If you want to learn more about the ABLE Act, check out the ten things you need to know about the ABLE Act. I present a bully prevention program. This program is near and dear to my heart because I was bullied growing up. I haven’t had to experience bullying since high school, until recently. While I was at a school presenting the bully prevention program, I was bullied (trust me, I see the irony). I began the program by defining bullying and soon moved into various bullying situation examples. One of the examples talked about how someone throws a piece of paper at someone. A student then interjected with, “How do you throw a piece of paper?” He held up one of the handouts I had given out as an example. I had to laugh a little at the odd question. I answered it and moved on. Soon, odd interjections began to turn into rude comments. Students giggled during videos that discussed bullying and suicide. They said mean things about the kids in the videos. I looked to the teachers to speak up, but none of them did. I pressed the issue of the seriousness of bullying and soon moved on. I began to talk about how students could stop being bystanders and stand up for their classmates. I gave an example of what someone could say to a friend who is bullying. One of the students jumped on the opportunity, “Oh so we should bully each other?” After clarifying my intention, I asked them how they would handle a bullying situation. No one spoke. I asked again, but still no one spoke. Again, I looked to the teachers for support, but not one of them spoke up. After the presentation, I followed my own presentation’s advice: talk to a trusted adult. The counselor took down a few names of students and I went with her to the superintendent’s office. When the superintendent said those students are the biggest bullies in their school, I wasn’t surprised. While the administration at the school seemed to take bullying seriously, the rest of the school did not. Bullying isn’t just a part of growing up and it isn’t just a fact of life. Those are just excuses people use so they can beat people down without the consequences. We need to stand up against bullying because there is no reason big enough to excuse hurting someone for life. Every time we bully someone, we put a wrinkle in their heart and it will never go away.